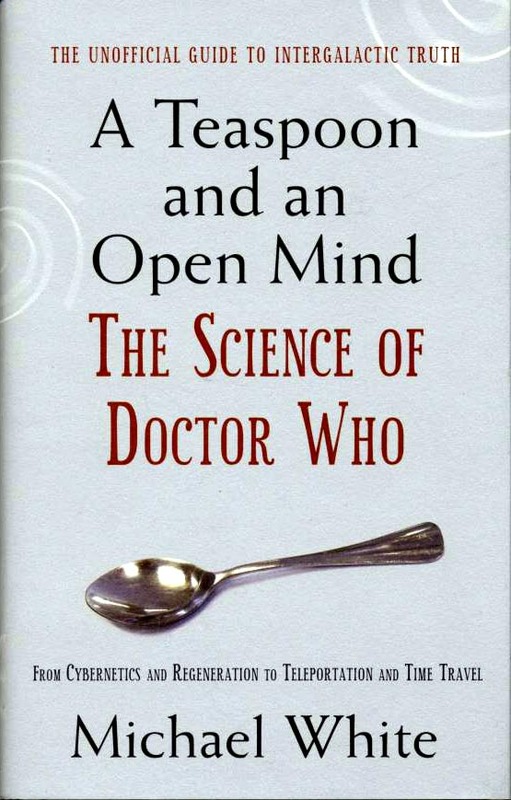 Picked up this new book the other day, The Science of Doctor Who by Michael White, and it's pretty dire to be honest. I don't mind a little non-Who material mixed in, but this seems to be nothing more than a selection of 'easy science' articles prefixed with a short paragraph which claims that Doctor Who featured or might have featured this aspect. It's really disappointing that none of the pieces bothers to use examples from Who to back up the arguments, preferring instead to rely on other shows like Star Trek ... there's a whole chapter on teleportation which is hardly a major element of the Doctor Who universe ... and it doesn't cover ray guns and blasters, or the dimensionally transcendental nature of the TARDIS ... White's style is easy-ish to read and the science is delivered in nice packages, but if I'd wanted to read a book like this I could have picked up a Stephen Hawking tome or something. There's also a consistent mis-spelling of Jon Pertwee's first name, and he gets the title of the first episode wrong as well ... 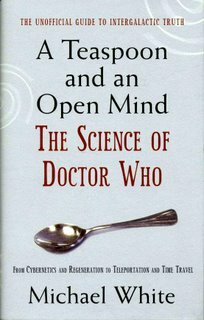 It's basically a missed opportunity - a chance to look at the science which is in Doctor Who, using examples and themes from the show itself rather than being, as it appears to be, little more than a generic collection of articles packaged under the Doctor Who banner because it happens to be popular at the moment, and written by someone who has only a very casual acquaintance with the programme. A great disappointment.